Below are Tablecloth Images giving you ideas of what others have done. 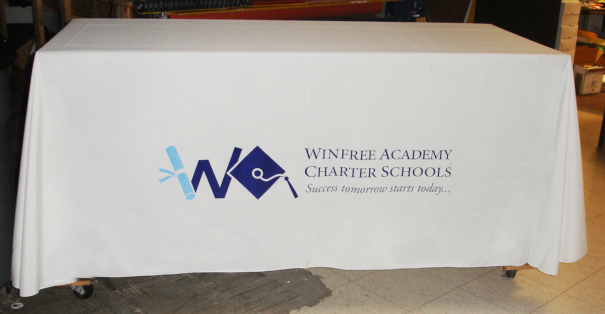 Note the color of the Tablecloth and how the Image or logo is effected. 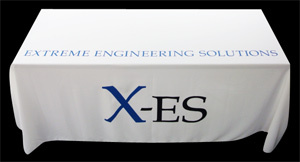 Color contrast between your Tablecloth Image is essential for eye catching presentations. The face of a six foot tablecloth is 30" tall by 72" wide. This is 15 square feet of free advertising space for your logo or Tablecloth Image! The face of an eight foot tablecloth is 30" tall by 96" wide. 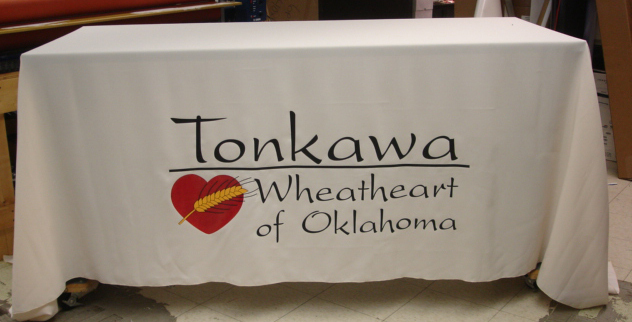 That gives you 20 square feet of free advertising space for your logo or tablecloth image! Images on your tablecloth, if too large can be too big for the eye to pick up quickly. Your message could be lost. If your Tablecloth Image is too small, your message could be hard to see. Therefore balance is needed when sizing your image. 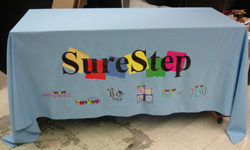 See more Tablecloth with Logo images.